IoT is a combination of physical objects with virtual representations and services. Augmented reality provides an ideal interface to IoT applications by superimposing virtual information about smart objects and services on a user’s view of the real world. This allows a user to interact with the physical object as well as receiving additional context-aware information about the object e.g., size, speed and temperature, as well as information about nearby objects. However, users do not have to directly interact with the physical objects or sensors as augmented reality can be an effective method of providing additional information about IoT services in the environment, such as the QoS attributes of a service or the ratings that other users have provided during previous invocations. 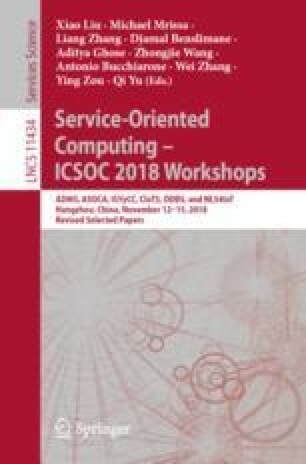 In this paper, we describe the use of augmented reality in IoT to provide contextual information to service users and providers and give a demonstration of an augmented reality application that we have developed and three projections of how users may interact with future context-aware applications. We also discuss some of the current research challenges and the future work that needs to be carried out to address these challenges.